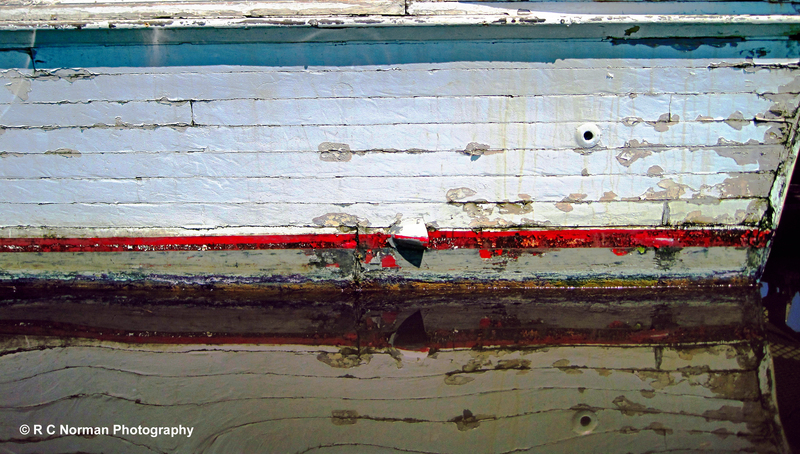 Old boat, chipped paint, barnacle encrusted underside. How can that be appealing? But it is….to me. When I paddled my kayak up for a closer look at the Shady Lady, my eye was drawn to her aft port side — telling me her story of age and neglect. 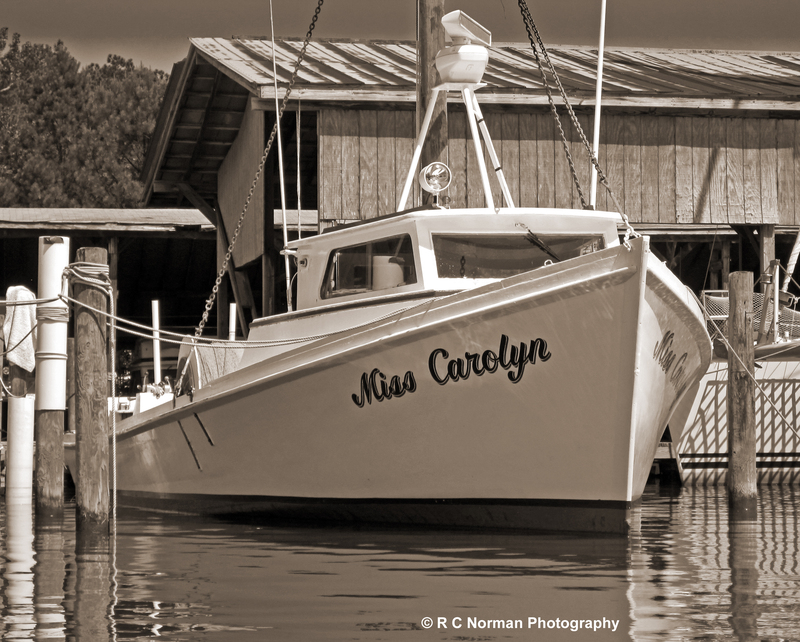 I could have photographed her bow or pilot house or even her stern, which were not as revealing of her long days against sun, wind and salt water. But not this time. No. She deserved better. Her story was in her weathering. 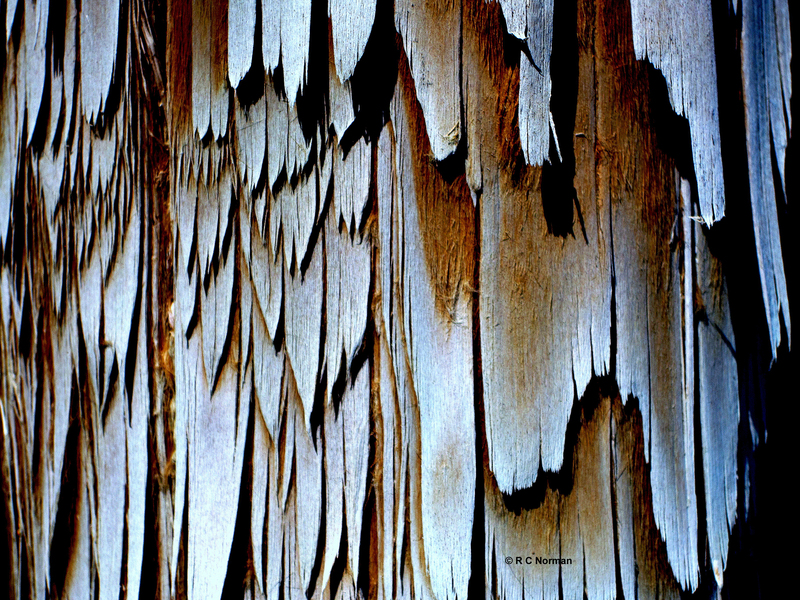 Her cracks and decay were a work of art. Her lines and shadows were pleasing in their simplicity. She was a grand old gal who was still hard at work earning an honest day’s pay. I snapped this shot, paid my respects, and paddled on. June 10, 2012. Specs: Canon PowerShot, F/8, 1/400, ISO 80. 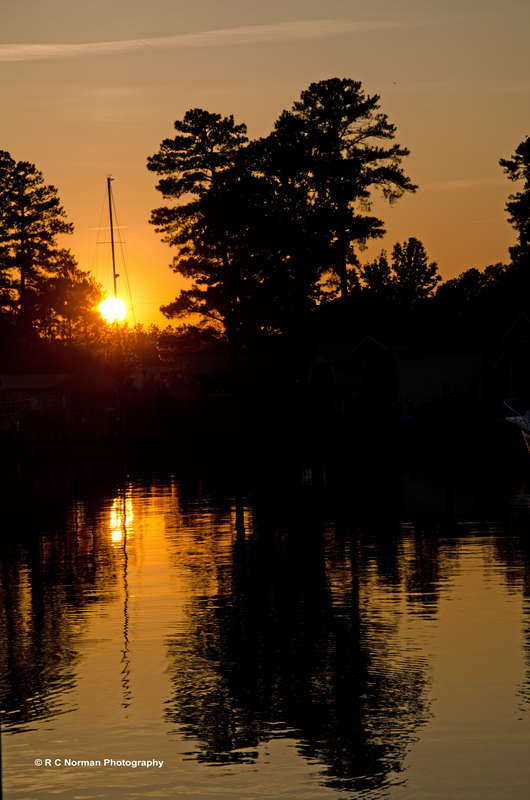 Here’s another shot from my kayak adventures with Jenny on Broad Creek last weekend. 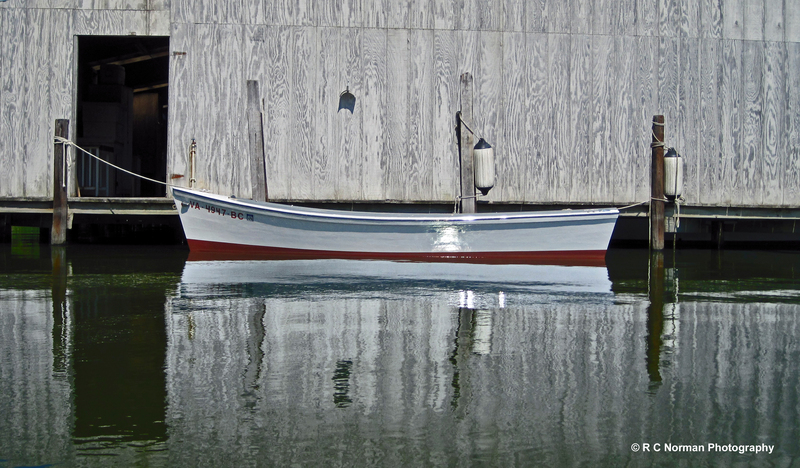 This small wooden boat, a miniature deadrise, made the perfect subject for this somewhat symmetrical shot comprised of wood and water. 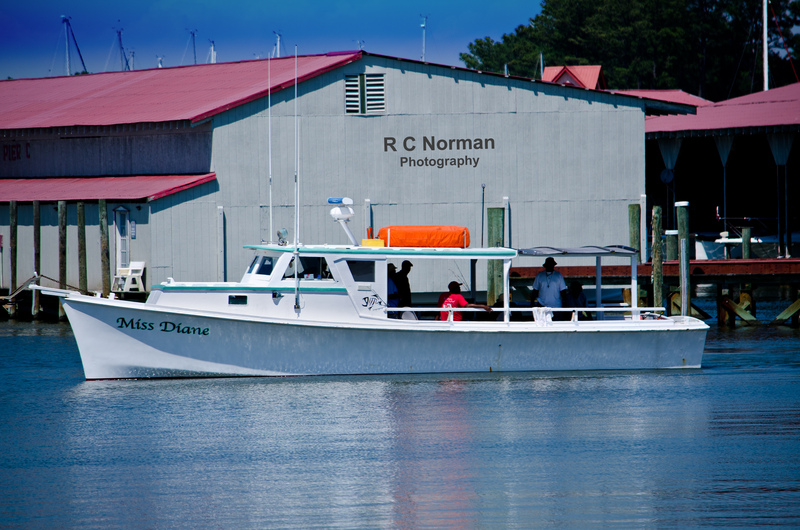 While the boat is center frame, the boathouse door provided the imbalance to make this visually interesting. I’m a huge fan of the old, wooden deadrise boats, and this shiny little replica offered a stark contrast to the usual work boats I normally photograph. 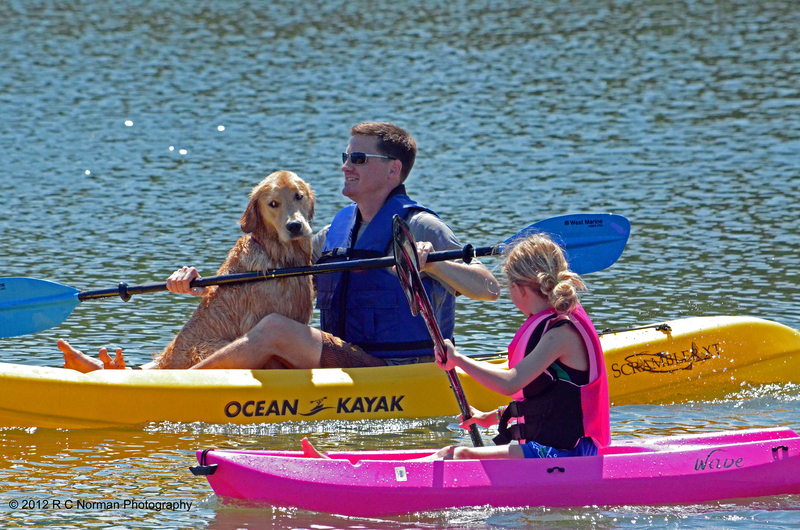 I enjoy shooting from my kayak, but am limited to my Canon PowerShot since I’m not inclined to take my Nikon DSLR in a one-man vessel that can easily capsize. June 10, 2012. Specs: Canon PowerShot, F/9, 1/320, ISO 80. Recently while kayaking on Broad Creek, I spotted an old salt-treated docking post that had a section of splintering just above the water line. I paddled over and pulled out my Canon PowerShot and captured this pic. Often times, even the most mundane objects can be a source of beauty when you notice the interplay of light and shadow, lines and texture. All you have to do is look…and see. 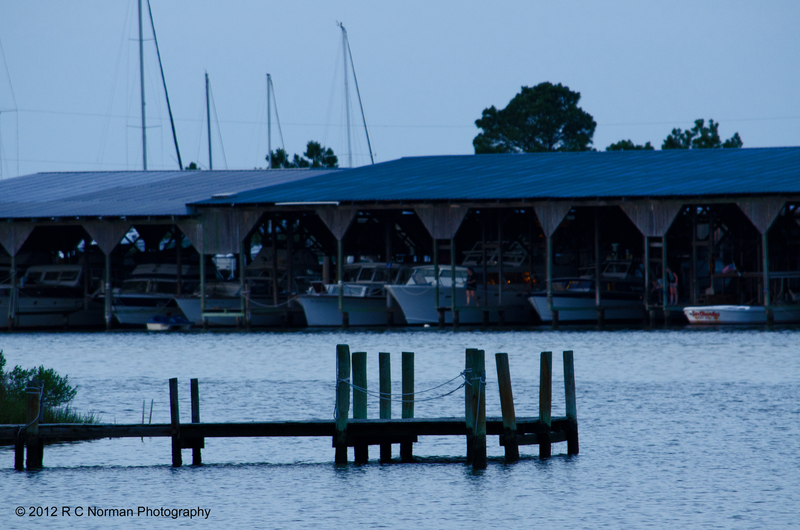 May 26, 2012, Deltaville, Virginia. 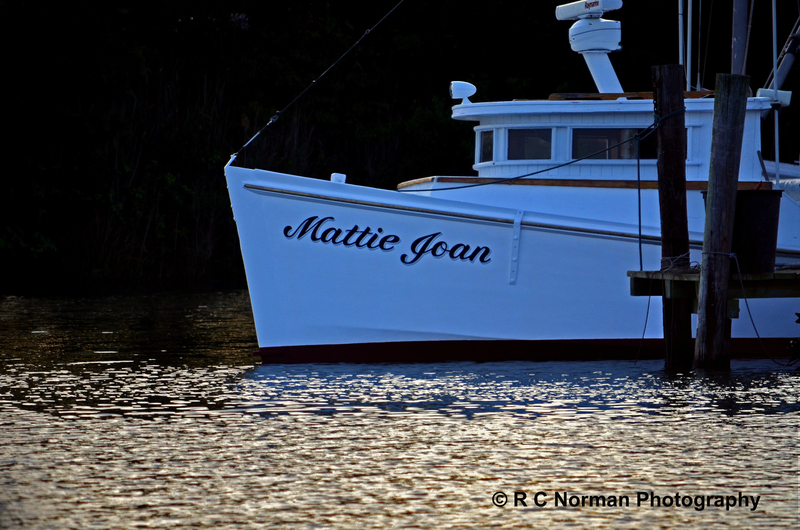 The Mattie Joan deadrise workboat asleep at her berth on Broad Creek. 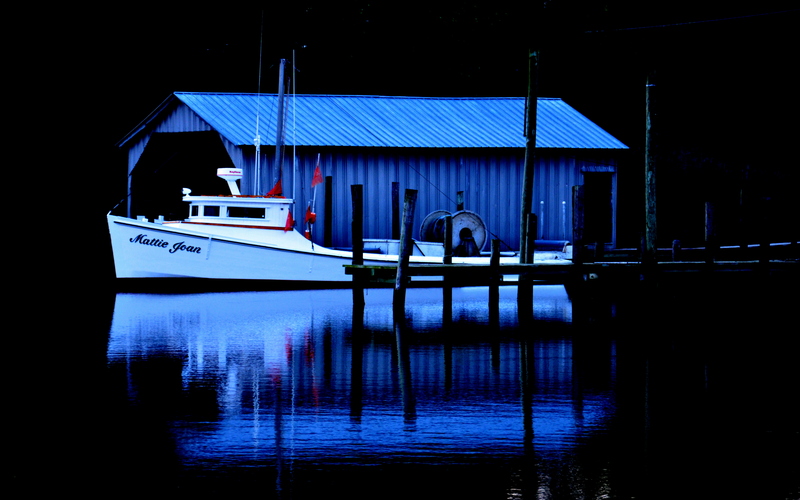 I love the way the early morning light casts a shadowy blue tint on her forward port freeboard (left bow) and sparkles gold across the ripples of a gentle creek. I awoke with the sun on Memorial Day weekend to capture this shot from the opposite bank.